(formerly Airborne Express) (GB/ABX) (Wilmington, OH) 2003 - Current. Photos. Framable Color Prints and Posters. Digital Sharp Images. Aviation Gifts. Slide Shows. 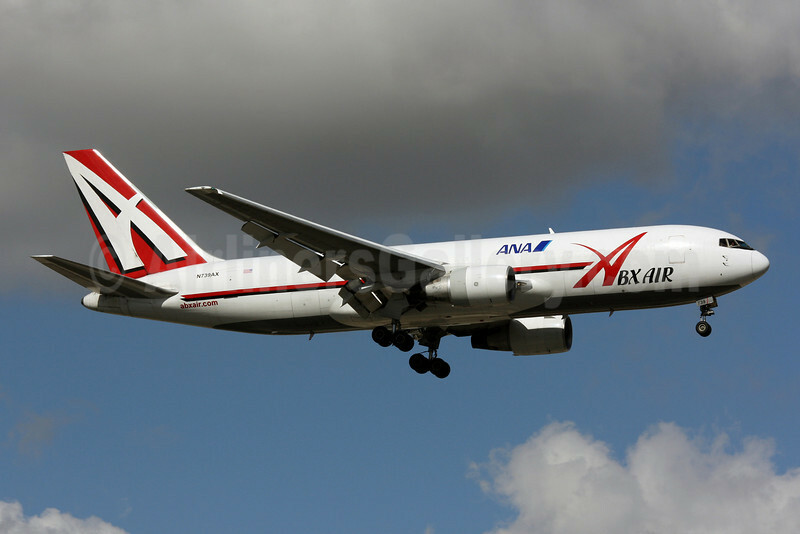 ABX Air-ANA (All Nippon Airways) Boeing 767-232 (F) N739AX (msn 22216) MIA (Brian McDonough). Image: 901840.